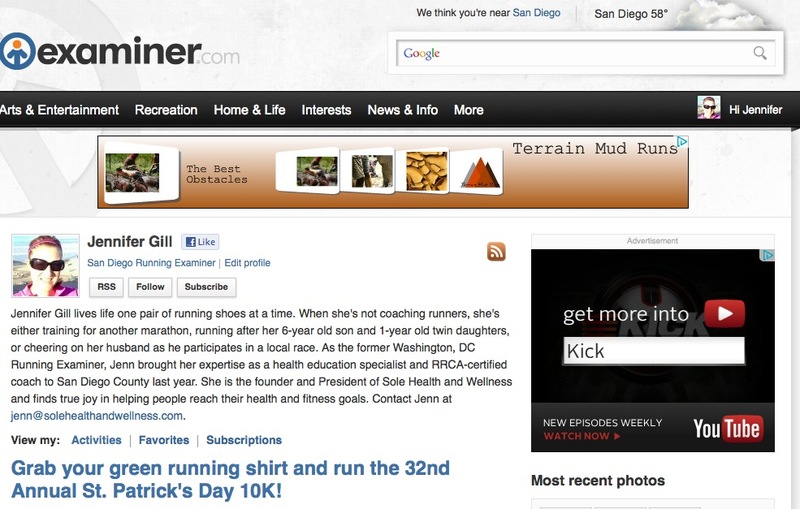 Runs with Sole: Meet the San Diego Running Examiner! 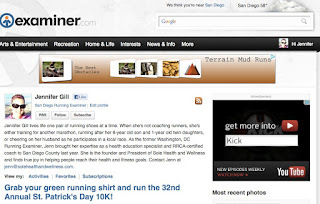 Meet the San Diego Running Examiner! When I was in DC, I had the distinct pleasure to be the Washington, DC Running Examiner. This allowed me to examine the local running scene and share my discoveries with my readers. In addition to reporting on local races, running stores, events and local runners, I plan to write about general running issues, national and international running news and more. I hope you read along with me as I explore everything this great place has to offer us runners. Really, there is no better place to discover!